All about Delhi Metro Rail Corporation (DMRC) ✓ Notification ✓ Application Form ✓ Post 189 ✓ Syllabus ✓ Admit Card ✓ Eligibility ✓ Question Papers ✓ Answer Key ✓ Exam Date ✓ Exam Pattern ✓ Pay Scale ✓ Preparation Tips for the post Executive & Non-Executive examination to be held 2015. Legal Assistant -to be filled up on contract basis for a period of three years- 02 Posts. Asstt. Manager/Electrical & Asstt. Manager/S&T- GATE qualified candidates for the year 2014. 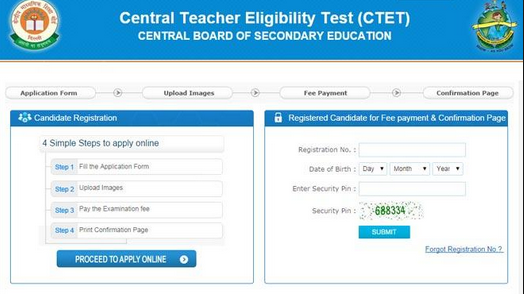 Candidates should have got a minimum of 60% marks in B.E./B.Tech (Electrical/Electronics) respectively from a Govt. recognized University/Institute., with a valid GATE score in 2014. Asstt. Manager/HR- 02 (Two) year full time MBA or equivalent -with minimum 60% marks with specialization in HR from a Govt. recognized University/Institute. Knowledge of SAP/ERP will be preferred. Asstt. Manager/Finance- CA with a minimum of 50% marks and with work experience of one year. Knowledge of SAP/ERP will be preferred. Asstt. Manager/IT- Masters degree in Computer Application or Computer Science or Masters of Technology (with specialization in Computer Application) or BE/B Tech in Computer Science or Information Science/Technology with minimum 60% marks from a Govt. recognized University/Institute. Asstt. Manager/Corporate Communication- Masters of Mass Communication and Journalism with minimum 60% marks from a Govt. recognized University/Institute with Post Qualification working experience of minimum of two years. Asstt. Programmer- Bachelor Degree in Computer Application or B.Sc (electronics) or B.Sc (IT) or B.Sc (Maths) from a Govt. recognized University or Institute. Stenographer- Graduate in any discipline from Govt recognized university with one year course in Office Management and Secretarial Practice/equivalent Typing Speed-40 wpm/English Shorthand Speed-100wpm/English. Asstt. Manager/Operations- BE/B Tech with minimum 60% marks in Electrical/Electronics/Mechanical/Civil. Asstt. Manager/Fire- B.Sc (three years duration) or equivalent from a Govt. recognized University with one year Advance Diploma of National Fire Service College of Nagpur. Asstt.Company Secretary- Company Secretary ship with minimum 50% marks from Govt. recognized University or Institute. Associate/Fellow Member of the Institute of Company Secretaries of India with post qualification working experience of minimum two years. Degree in Law will be preferred. The selection methodology will comprise a three-stage process – Written Test (two papers), Group Discussion & Personal Interview followed by Medical Examination in Executive/Technical category. The selection methodology will comprise a three-stage process – Written Test (two papers), Group Discussion & Personal Interview followed by Medical Examination in Executive/Technical or non technical category as mentioned against each post. The selection methodology will comprise a three-stage process – Written Test (two papers), Skill Test, Personal Interview followed by Medical Examination as mentioned against each post. The selection methodology will comprise a three-stage process – Written Test (two papers), Personal Interview followed by Medical Examination as mentioned against each post. Medical Examination: All candidates shall have to undergo the medical fitness test(s) and meet the medical standards prescribed by DMRC for various posts. Expenses for the first time medical examination of the candidate will be borne by DMRC. However, in case a candidate seeks extension for joining, then for the second time medical examination, if need so arises, the expenditure for the medical test/s will be borne by the candidate himself/herself. Candidates having undergone lasik surgery are not suitable for any posts except Asstt. Programmer & Stenographer. The selection process would judge different facets of knowledge, skills, comprehension, aptitude and physical fitness. Candidates will have to pass through each stage successfully (including Medical examination), before being adjudged as suitable for selection. Candidates, who fail in the prescribed medical test, will not be given any alternative employment and decision of the Corporation is final on this issue. Dates of written examination, result of written examination and all recruitment related information shall be available only on Web site: http://www.delhimetrorail.com and candidates must remain in constant touch with it. Written Test: The written test will consist of two papers (Paper-I and Paper-II, to be held on the same day in the same centre). Paper-I will consist of multiple-choice objective type questions, bilingual (Hindi/English), on General Awareness, Logical Ability, Quantitative Aptitude and/ knowledge of the discipline/trade. There will be a total of 120 questions, each carrying equal marks. There will be negative marking. For every wrong answer 1/3 marks will be deducted. The Paper-I shall be of 1.5 hours duration. Paper-II will consist of objective type questions on General English to judge the knowledge of English language. There will be a total of 60 questions, each carrying equal marks. There will be negative marking. For every wrong answer 1/3 marks will be deducted. The Paper-II shall be of 45 minutes’ duration. Candidates who qualify in Paper-I and rank high on the merit list within the zone of consideration, as decided by the DMRC, will only be evaluated for Paper-II. Successful candidates based on the Written Test (Both Paper-I & Paper-II put together) shall be called for Personal Interview/GD/skill test, at Delhi/NCR. Skill Test in Stenography: The skill test will be of Qualifying Nature. The candidates will have to appear for the stenography test. The candidates will be given one dictation for 10 minutes in English at the speed of 100 w.p.m. . The matter will have to be transcribed on computer only. The transcription time will be of 40 minutes (English). For post codes E01 & E02 - Candidates having valid GATE -2014 score will only be called for written test and subsequent GD/Personal Interview. Only GATE-2014 score is valid for this recruitment process. The score is valid only if the candidate obtains more than or equal to the qualifying marks as fixed for the above papers by GATE-2014. The qualifying marks for GATE examination shall be as per the criteria adopted by the conducting authority of GATE-2014 examination. The departmental candidates will also be required to have valid score in the corresponding papers of GATE-2014. Candidates (for all category of posts) to be called for GD/Personal interview/Skill Test and Medical examination, as the case may be, at Delhi and shall be paid to & fro sleeper class Railway fare for journey by the shortest route between Railway Station nearest to hometown & Delhi. No reimbursement shall be made to the candidates appearing for the written examination. Candidates are required to apply online through website www.delhimetrorail.comonly. No other means/mode of application will be accepted. Candidates are required to have a valid personal e-mail ID. It should be kept active during the currency of this recruitment process. In case a candidate does not have a valid personal e-mail ID, he/she should create his/her new e-mail ID before applying online. Under no circumstances, he/she should share/mention e-mail ID to/of any other person. Candidates are first required to go to the DMRC’s website www.delhimetrorail.comand click on the link “Career”. Thereafter, he/she may open the recruitment notification titled “DMRC/OM/HR/II/2014”. Candidates are required to click the link “Apply Online” and fill up the Online Application Properly. Once you submit the Application a Reference/Registration Number will be generated on screen along with a button to download preprinted Challan form with Bank Reference Number (the reference number will be unique). The Online Application will be submitted till 09/01/2015 (upto 23.59 hrs) and accordingly Bank Challan will also be generated only upto 09/01/2015 (upto 23.59 hrs) from the date of issue of advertisement. The system generated Bank challan will be in triplicate (1st copy – Bank Copy, 2nd copy –Candidate’s Copy and 3rd copy – DMRC’s Copy). Candidates are required to take a print out of this system generated Bank Challan and deposit the requisite Written Examination Fee (for fee details see para “Payment of application fee”) in any branch of State Bank of India (SBI) after a minimum of 24 hrs of generation of the Bank Challan. Only, State Bank of India (SBI) has been authorized by DMRC to collect the application fee, in a specially opened DMRC Account No. 33700092265.
i) For payment of fees, candidate has to approach the nearest SBI branch with the system generated bank challan only, with a unique ‘Bank Reference Number” in triplicate (1st copy – Bank Copy, 2nd copy – Candidate’s Copy and 3rd copy – DMRC’s Copy) downloaded fromDMRC website www.delhimetrorail.com. iii) On receipt of the money, the bank will issue a unique Journal Number and a Branch code of the bank collecting the money. Candidates are required to collect the “Candidate’s Copy” and “DMRC Copy” from the bank. They are also required to ensure themselves that these bank challans contain i) SBI Journal number ii) Branch Name iii) Branch code No. iv) Date of deposit v) Amount. iv) DMRC will not be responsible in case the candidate deposits the fee in a wrong account. There will not be any other mode of payment of application fee. v) Application fee is to be paid between 18/12/2014 to 12/01/2015 only. Cheques, postal stamps, etc., will not be accepted, towards application fee. Candidates are advised to visit again our DMRC website, only after a minimum of two working days of depositing the fee in the bank, by re-visiting the career link i.e. “DMRC/OM/HR/II/2014” on DMRC’s website www.delhimetrorail.comand by going to sub link titled “Candidate Login (Re-print of Challan or Registration Slip)” and check the status of Payment/ Download Registration Slip. In order to avoid last minute rush, the candidates are advised to apply early enough. DMRC will not be responsible for network problems or any other problem of this nature in submission of online application during last days due to heavy rush etc. Select the post applied and fills in the requisite details in the online application format. All the fields in the online application format should be filled up carefully. There will be a pre-view of the applications filled in by the candidate before submitting the application, so that it can be edited. After submission of the application, no modification will be permitted. Candidates will have to upload scanned copy of passport colour photo, signature scan copy, OBC/SC/ST certificates (Whichever is applicable). The size and type of these scanned copies should be as per guidelines given on Website under Section “Guidelines for scanning Photo/Signature/certificates”. Once you check your application status and if Payment is confirmed by Bank, the system will generate a unique Registration No. and generate a Registration Slip, which will have unique Registration number, your basic details like name, category, and post applied for.